During the first 10 days of April so far, 18 people from the minority Hazara ethnic group have been killed in southwestern Pakistani city of Quetta. 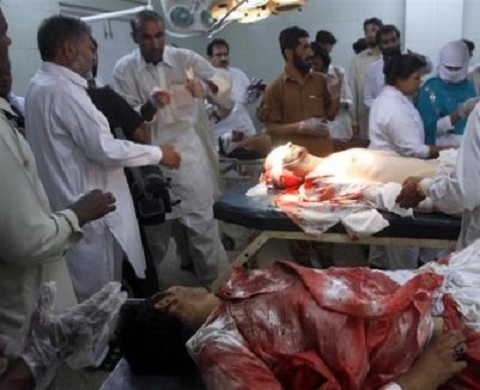 In an attack yesterday, Monday April 09, 2012, six people were shot dead and three injured after unknown assailants opened fire in a shoe-maker’s shop on a busy shopping area of Quetta city. In a previous such attack a week ago, 10 people were killed when unknown armed men opened fire on a van carrying passengers of Hazaras. 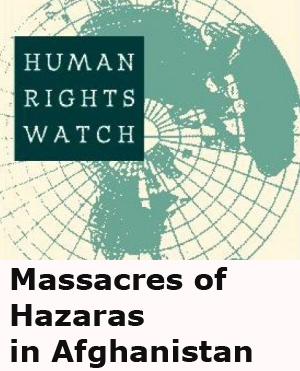 In the last couple of years, human rights organizations have reported that more than 600 members of the minority Hazara have been killed. In a recent report, Human Rights Watch has documented 275 deaths since 2008. 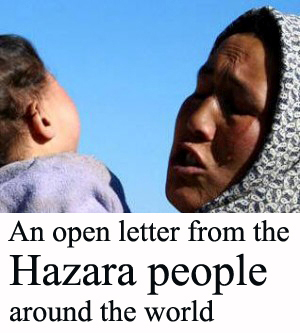 The report described some of the worst attacks in 2011 that killed over 60 Hazaras. Last year in October, gunmen on motorbikes stopped a bus carrying Hazara Shia who were headed to work at a vegetable market on the outskirts of Quetta. The attackers forced the passengers off the bus, made them stand in a row and then opened fire, killing 13 and wounding 6 others. The report says on September 19, near the town of Mastung in Balochistan, gunmen forced about 40 Hazara to disembark from their bus. They shot 26 dead and wounded 6. Although some of the Hazara escaped, gunmen killed another three as they tried to bring the wounded to a hospital in Quetta. HRW report says Lashkar-e-Jhangvi, a militant group allied with Al-Qaeda claimed responsibility for both attacks. LeJ is a breakaway faction of Pakistani sectarian terrorist group Sipah Sahaba. Recently the Pakistani Supreme Court released LeJ founder Malik Ishaq from detention and since then attacks have increased on Shias in Pakistan and Hazaras in Quetta particularly. The Pakistani Government has shown an utter disregard for its complete failure to stop a bunch of sectarian terrorists who have forced a minority group to migrate from the country. The provincial Government of Balochistan has taken no action to stop the target killings of people from a particular ethnic group. Lashkar-e-Jhangvi, an Al-Qaeda allied, sectarian militant group had distributed a warning pamphlet last year threatening to launch increasing attacks against the Hazaras to make them leave Pakistan by 2012. It is systematic genocide in the complete silence and negligence of international community. 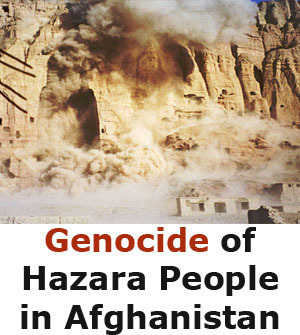 There are over 600,000 Hazaras living in Pakistan. 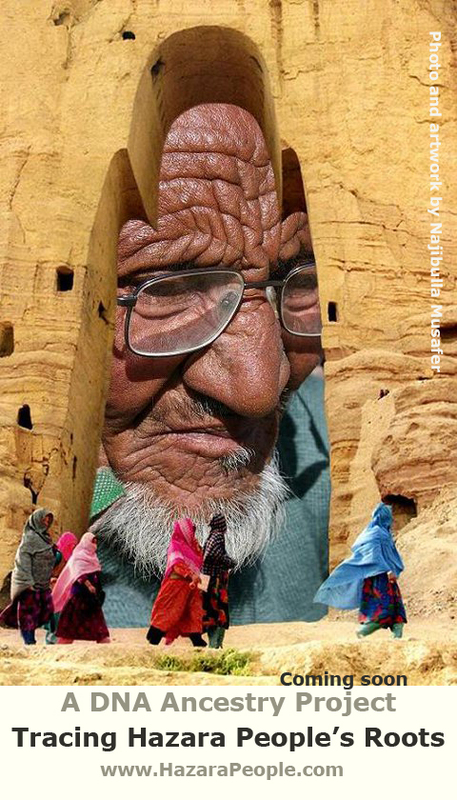 They migrated from Afghanistan in 1880’s as a result of persecution by the Afghan ruler Amir Abdul Rehman Khan. The Federal Government of Pakistan and its strong security establishment should take notice of the terror campaign and genocide in Quetta. If the intelligence agencies crackdown against LeJ, it would be a matter of weeks to hunt all its terrorists down. We urge the Foreign Ministry to take up this issue with Islamabad. 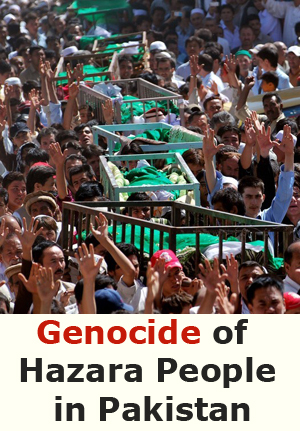 The United Nations Human Rights Council should take notice of the systematic genocide. 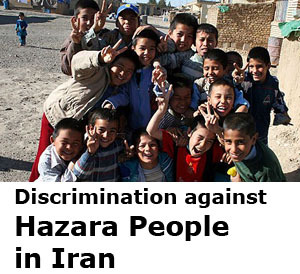 International human rights groups such as Human Rights Watch and Amnesty International have several reports about the persecution of Hazara minority in Pakistan. This is a Big shame to Humanity ….